Technology vector graphics of various abstract objects. Colorful representations of circuit boards and compositions with geometric shapes. Bright colors used on the abstract designs featuring lines, dots, patterns and crooked lines. 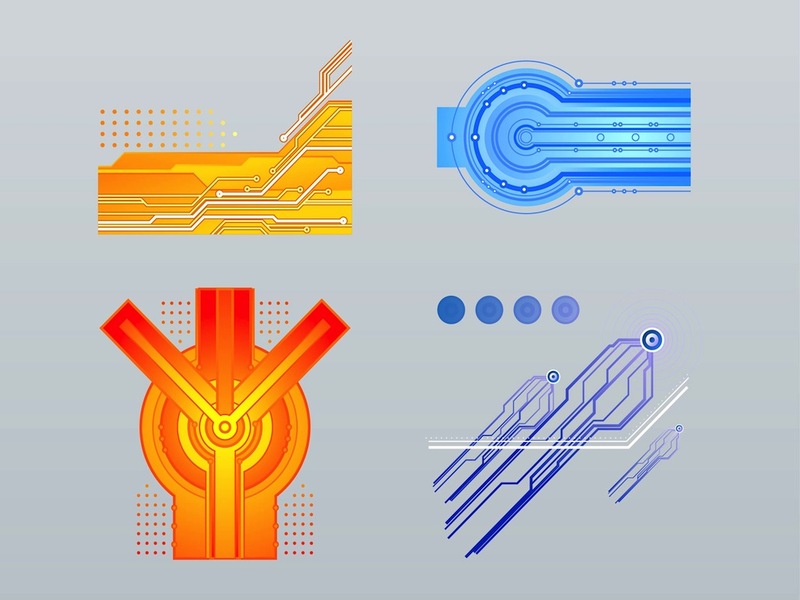 Free vector designs for all your tech, technology, devices and circuits projects. Tags: Circuit Boards, Circuits, Electro, Electronics, Futuristic, Sci-Fi, Technology.